Are 'For Sale' signs still relevant when marketing a property? You are here: Lew Geffen Sotheby's International Realty Latest News Property News Are 'For Sale' signs still relevant when marketing a property? It's always been standard practice that when you put your home on the market, a 'For Sale' sign goes up on your kerb or wall, but, with over 80% of buyers now starting their searches online, many sellers are questioning the effectiveness of this traditional marketing tool. Back in the day, this was one of only two real marketing methods available to agents, the other being placing advertisements in newspapers. However, since the advent of the digital age, all it takes is a few mouse clicks for buyers to find all the available properties in their preferred areas, as well as filter their searches to exclude property types and features that don't suit their needs. Yael Geffen, CEO of Lew Geffen Sotheby's International Realty, says she believes that although this old-school marketing tool might not have the largest measurable direct impact, it can still produce results. "It may be true that most people now spend half their lives online and on their mobile devices, but they also spend a significant amount of time in their cars, and the mere fact that buyers are often on the road means that visual boards are still important marketing tools," says Geffen. "Outdoor boards also work in tandem with technology, especially real estate apps with smart geolocation and pop ups which indicate show houses whilst you are driving. It's even very possible that your neighbour down the street knows someone who is interested in buying in your area." She adds that she has also been receiving reports from agents in Cape Town who have noticed an interesting market shift in recent months in this regard. "Dawn Bloch in the Southern Suburbs and Jo Thomas in Constantia have both said that the majority of their recent buyers have emerged from show houses and networking rather than via the internet. "And if tough times call for getting back to basics, agents who are all tech and don't know old-school client service could well miss the boat on many sales." Geffen says she also strongly believes that less is more, and that street poles peppered with signs and posters advertising not only properties but also agents making sweeping promises are merely clutter that achieves nothing. "From street pole to street pole we see different agents' faces and every poster says the same thing - that they are area experts. But the only true way for sellers to recognise an area expert is by the 'For Sale' boards and sold boards outside actual properties," she says. "Mandates and sales are the real measure of a good agent - not glorified photos showcasing their whitened teeth and unverifiable bios." Geffen adds that with all the competitive board clutter in suburbs, differentiation is key, and best achieved by classic, tasteful boards clearly positioned on a property. 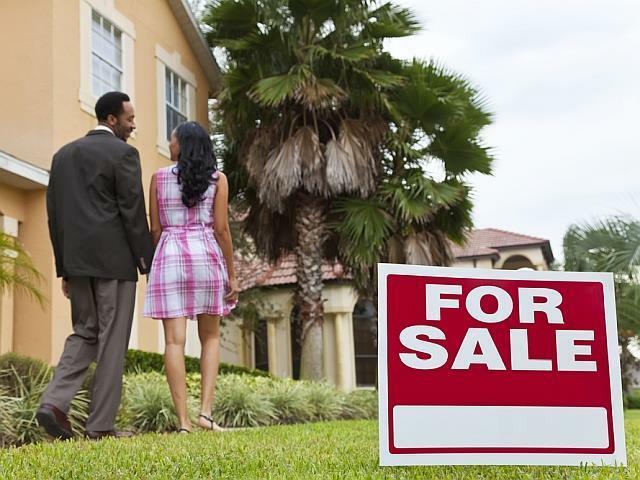 "Ultimately, having a 'For Sale' sign in the front yard is well worth the potential benefits, especially in a busy neighbourhood. And, even though we can't measure their reach, these signs have become emblems of the housing market that people know, recognise, and seek out when looking to purchase a home."